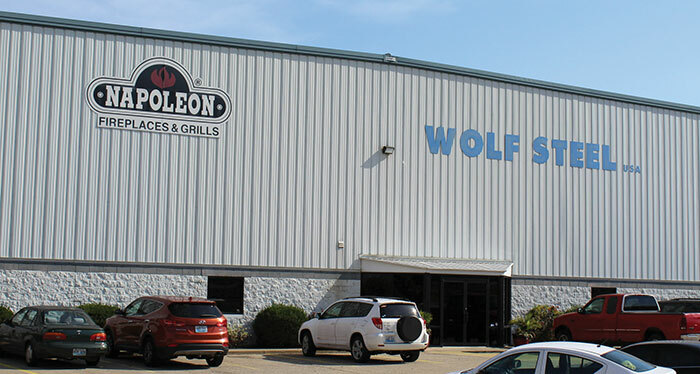 Wolf Steel in Crittenden employs 124 people in the United States, 85 of whom are in Grant County making high end Napoleon grills. Community events, easy access to large cities, a lower cost of living compared to surrounding areas, and neighbors who care about one another make Grant County attractive to residents and business owners. With its accessibility to I-75 and U.S. 25 and by rail, the county has attracted more than 2 million visitors in two years to the Ark Encounter in Williamstown. The attraction is Grant County’s third-largest employer, with approximately 500 full-time and seasonal employees, following Grant County Schools/Williamstown Schools with 937 employees and Dana Corp. with 530. The Williamstown Marina continues to attract locals and out-of-towners to Lake Williamstown. Williamstown Splash Park opened in August on Waterworks Road. Ground was broken in July 2018 for a hotel in Dry Ridge, the first of three hotels expected to come to the area. Three months earlier, a ribbon-cutting ceremony was held for Duke Energy Solar Farm in Dry Ridge. MGP of Atchison, Kan., spent $1.8 million to convert the Performance Pipe Building in Williamstown into a whiskey warehouse. The Grant Co. Chamber of Commerce spearheaded Market on Main, a seasonal market for local produce, crafts and entertainers in downtown Williamstown and Dry Ridge. And in July 2018, 273 athletes competed in the Grant County Triathlon, an Olympic qualifying event.